1	5	Natalie and the One-of-a-Kind Wonderful Day! The start of a new chapter book series for early readers from bestselling author Dandi Daley Mackall. Spunky Nat determines to do a one-of-a-kind, wonderful thing. But each brave attempt ends in disaster: the wreck of the omel-nat breakfast; the purple wallpaper-colouring disaster; the Shopping Cart Olympics; the Great Ant Save. All the people around her shake their heads and sigh: "Only Natalie". In the end, Nat discovers that being 'Only Natalie' is a very good thing in God's eyes. Nat herself turns out to be that one-of-a-kind, wonderful thing. Natalie and the One-of-a-Kind Wonderful Day! by Dandi Daley Mackall was published by Zondervan in April 2009 and is our 4686th best seller. 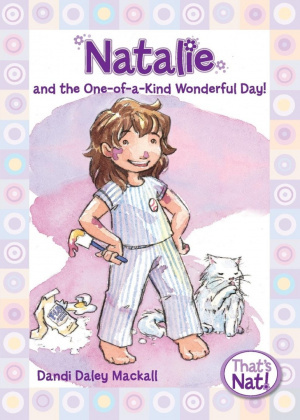 The ISBN for Natalie and the One-of-a-Kind Wonderful Day! is 9780310715665. 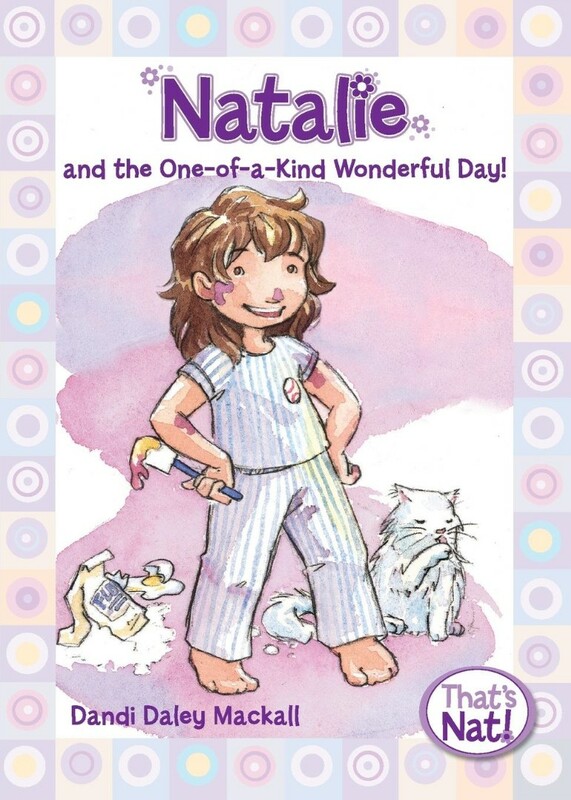 Reviews of Natalie and the One-of-a-Kind Wonderful Day! I loved reading this book to my two daughters who are ages 6 and 9 and they have loved it. The book is very funny and provides brilliant insight to a small child's thoughts about the world they are discovering. As well as being a brilliant book for sparking off conversations with my children about issues such as friendship, family, boundaries and more it has been fun to read and has left us excited to read the next books in the series. An exciting discovery which has brought life to bedtime conversations and fitted well into teaching my children about who God is. Got a question? No problem! Just click here to ask us about Natalie and the One-of-a-Kind Wonderful Day!. Details for Natalie and the One-of-a-Kind Wonderful Day!